Each card has been graded or assessed by SGC. 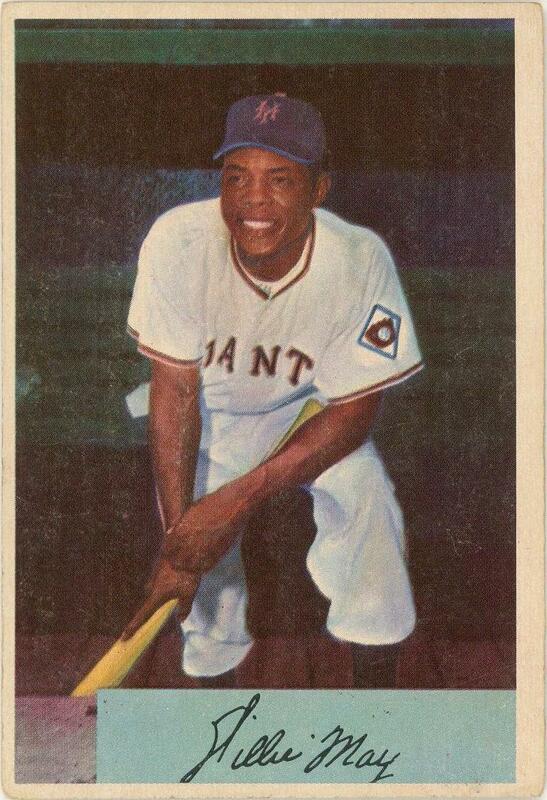 Offered is a 4-card collection of 1954-1956 Topps and Bowman Hank Aaron and Willie Mays baseball cards. 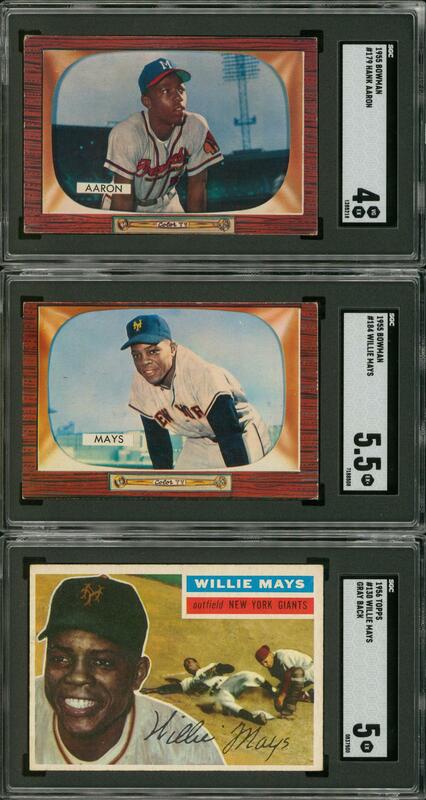 The mid-grade array includes: 1954 Bowman (1) - #89 Mays (SGC Assessed: Too Small); 1955 Bowman (2) - #'s 179 Aaron (SGC VG-EX 4) and 184 Mays (SGC EX+ 5.5); 1956 Topps (1) - #130 Mays/Gray Back (SGC EX 5).